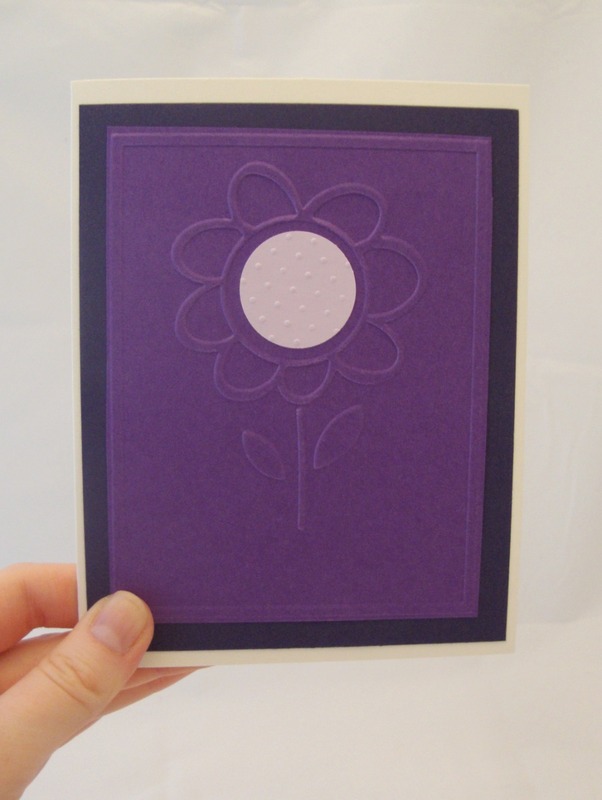 These delightful cards are sweet not only to the eye but also to the touch! An ornate sugary cupcake, complete with metallic painted sprinkles, “pops” on the front of the card. The embossed front is girly and adds a lovely texture. A wide ribbed ribbon is gently tied around the front flap, boasting a lovely espresso brown hue. 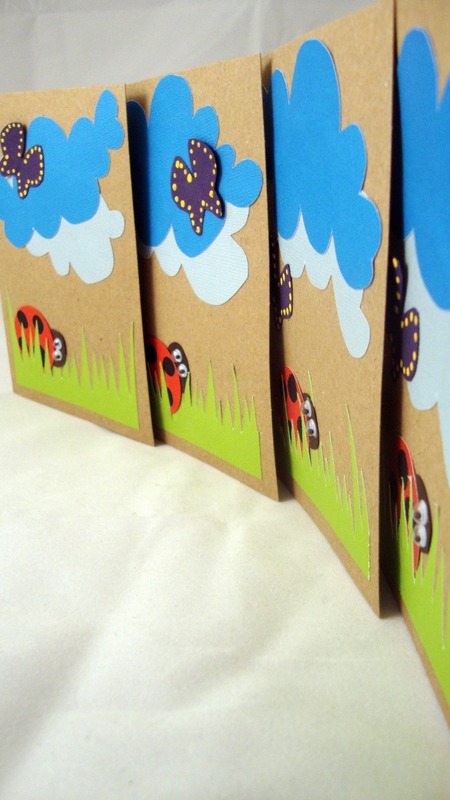 These six (6) sweet cards are sure to please their recipients! Perfect for a bridal shower, thank you or hello note, these cards can be yours today! 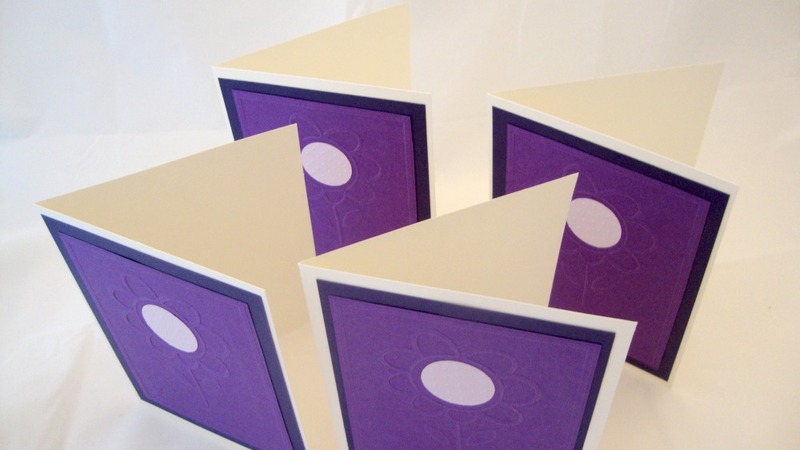 Six (6) white envelopes accompany the delightful cards. 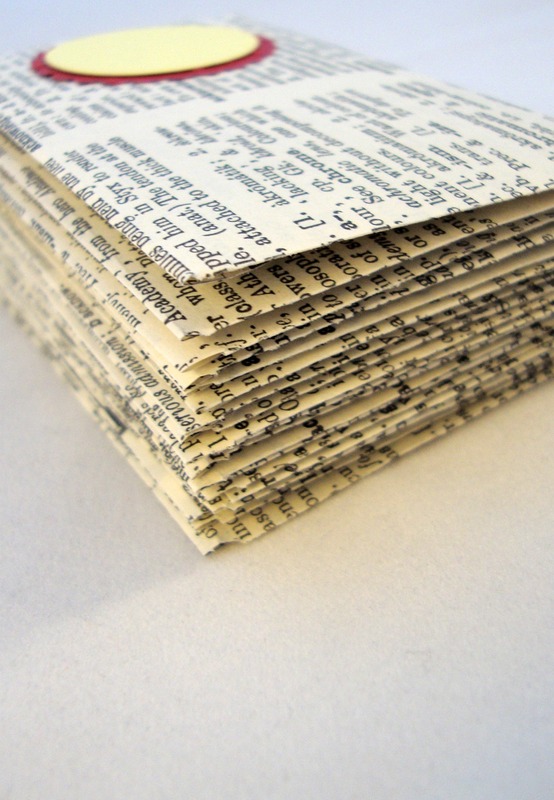 Hand cut and scored from 1960s dictionary pages, these envelopes are created from an envelope template constructed by yours truly. The hand punched cheery yellow and red flower accents the vintage print nicely – wonderful contrast of vintage and modern, old and new. Width: 2 inches, height: 4 3/4 inches. These girlishly pink tags (set of four) are hand cut from textured paper and display a delightfully detailed paper sticker. The tags’ pink paper has been slightly lightened around the edges to provide further depth and texture. 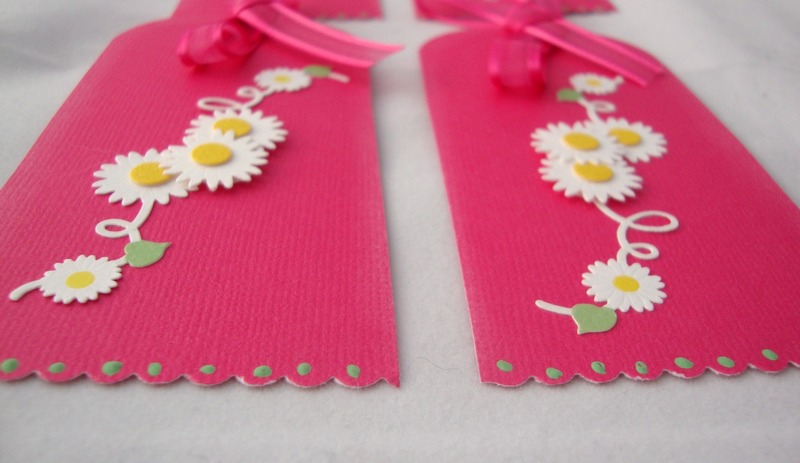 The scalloped bottoms of the cute tags has been accented with small dots of soft green paint to emulate lace. A darling pink ribbon has been attached to each tag. 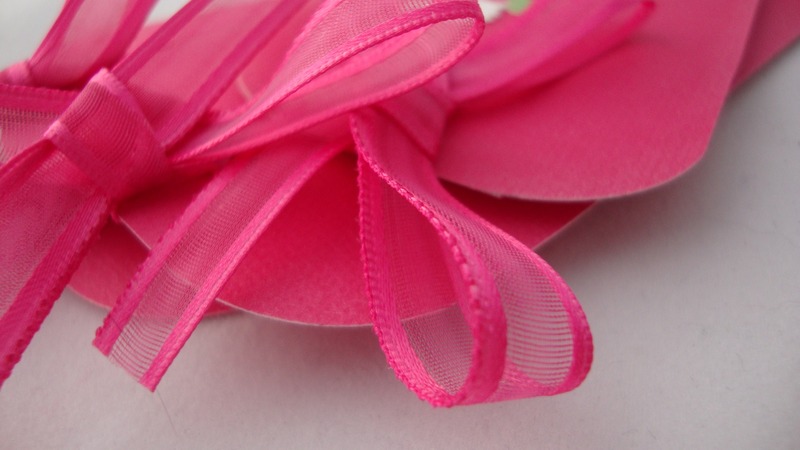 This pink ribbon is long enough to tie onto gift wrapping. The back of the tag is blank, just waiting for you to personalize. 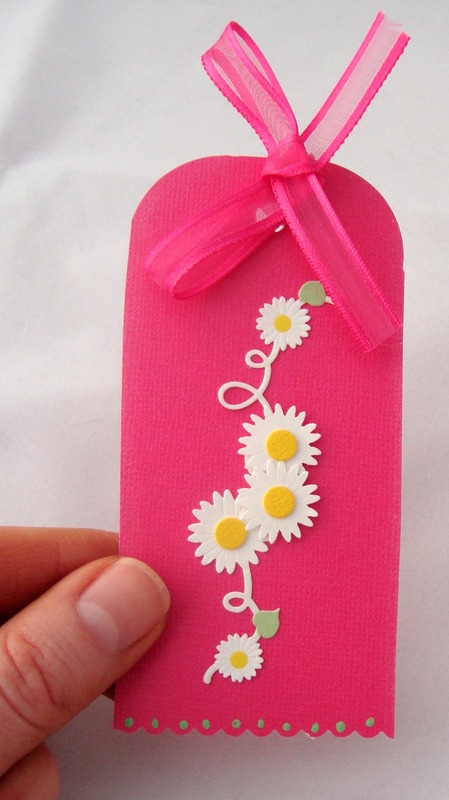 These tags’ size and shape may provide another use after the recipient has received her special gift and girlishly pink tag….a bookmark! Cards measurements are 5 1/2″ x 4″. Matching enveloped included. This set of bright colored cards was created on a bitterly cold December winter day. I was yearning for the colorfulness of spring and decided to create a lively spring scene on a card! 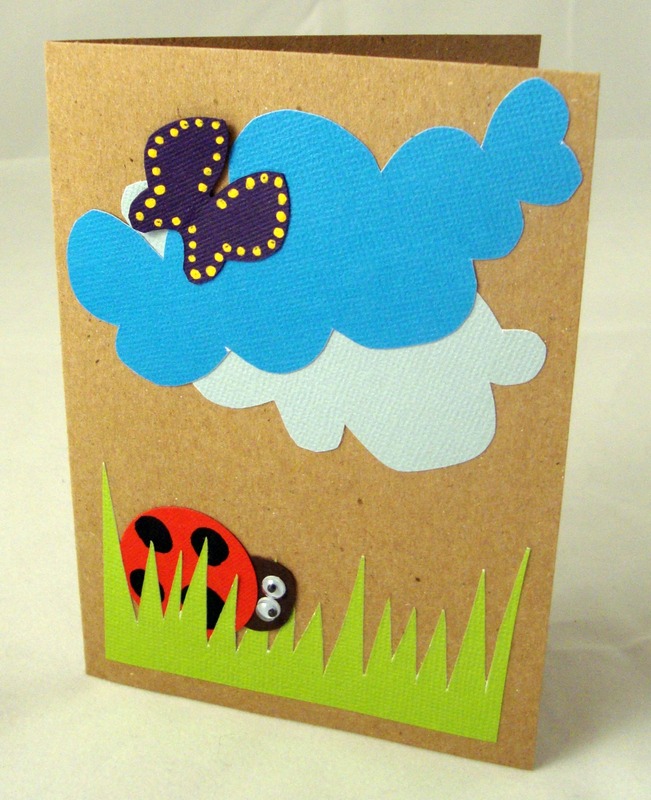 These lovely ladybug cards are definitely in the mood for spring! 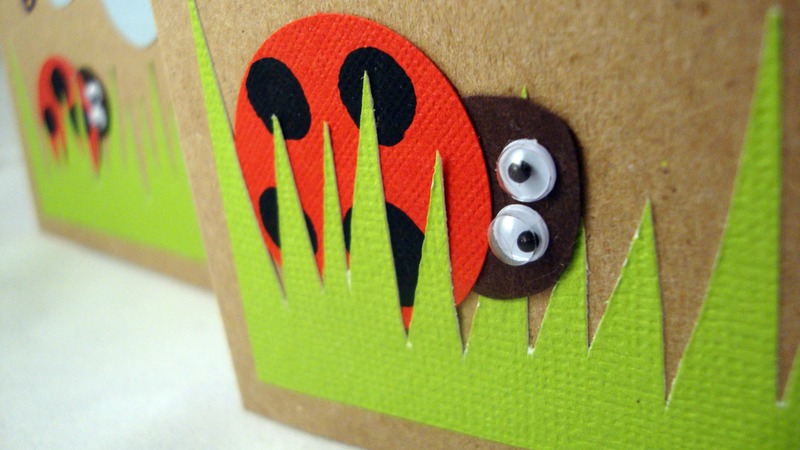 The fun googly eyed ladybug is peeking out from behind hand-cut blades of bright green grass. Blue fluffy clouds are floating up above, the perfect backdrop for a purple and yellow butterfly that seems to fly off the paper. 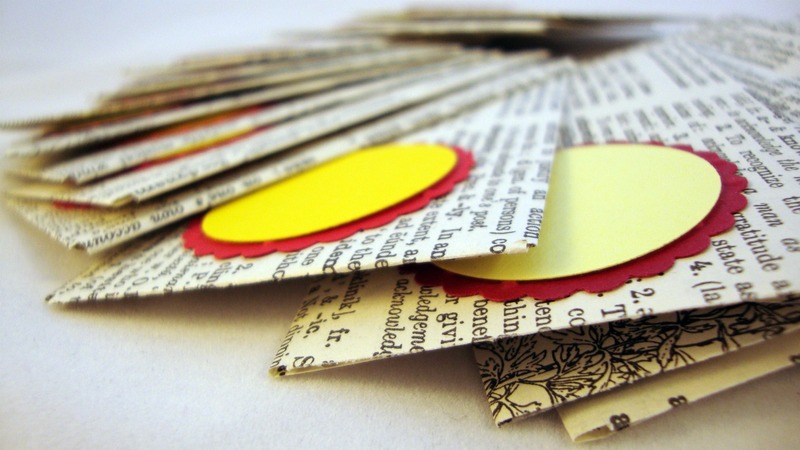 Great for any occasion, these colorful cards are blank for your special message. These vintage table place cards would be a beautiful accent to your table setting. 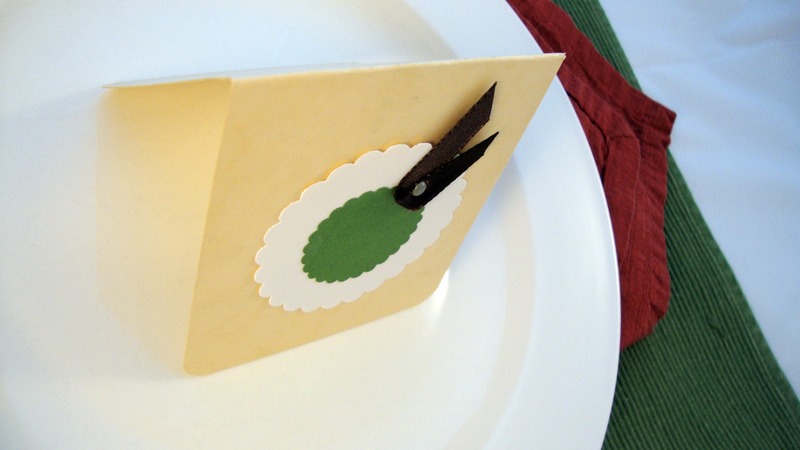 These place cards are folded first grade flash cards, accented with a cheerful green and white flower. The brown ribbon is fastened to the flash card with a gentle hued grey metal brads. A neat facet of these place cards is the fun that can be had with the words on the inside of the place cards. If your family/friend meals (or Holiday meals!) are like mine and lively (or perhaps yours could use a conversation starter), these place cards are perfect! Coming from a game-loving family, a game we would play with these cards would be as follows: tell a story; each person would say their own sentence (using their place card’s word), and every person around the table would build on the story. I’m sure interesting words like “microphone” and “larger” would make your meals even more memorable! As you can see from the pictures, these 40+ year old cards have been well-loved and they will continue to be useful and loved with a new life at your table setting. Let’s Have a Polka Dotted Party! This eye popping polka dot party tag is 4 7/8” tall and 3 1/2” wide. 4 tags. Looking to brighten up your presents with a pop of personality and color? Look no further! This delightful tag is great for children or adults. The cheery combination of not one, not two but three polka dot patterns is a fun accent to your gift wrapping. The festive 3D party hat (that comes in a variety of colors)is perfect for any birthday or party occasion. Hand crafted with love and care, this peppy tag can perk up your gift wrapping today!